Celkon mobiles has launched a new contender in the elite club of few HD screen supported smartphones in the Indian market today. This new element joins the company’s most prodigious ranges of smartphone series familiar to us as Signature . The price of Celkon A118 Signature HD is Rs 12,500 and is available for sale on all the leading online retailers across the nations. The Celkon A118 is younger sibling of previously launched Celkon A119Q , this smartphone will be the most cheapest HD screen supported smartphone in the smartphone arena till date. 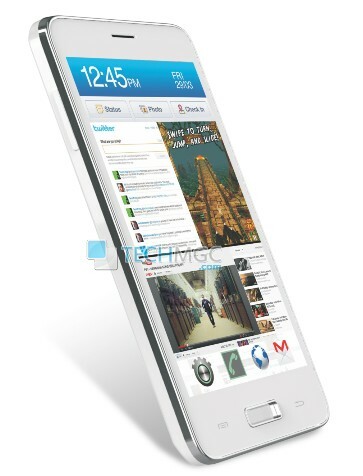 It houses some new features and specifications as compare to Celkon A119Q. Coming to Celkon A118 HD specifications and details, Celkon A118 HD falls under big size smartphones segment and flaunts 5 inch of HD(High Definition) capacitive touch screen display with 1280×720 of pixels resolution. Such an enormous range of pixel resolution will give it a close-to-retina pixel density of 293 ppi. The feature which company offers in almost all it’s newly launched smartphones called as Dual-Sim with Dual-Standby technology, this device also support Dual-Sim device which works on both GSM and WCDMA technologies. Dealing with it’s Platform dependency, this device sails on Android 4.2 Jelly Bean operating system powered with a quad core MT6589 processor at a clock speed of 1.2GHz. From the software front, this device is equipped with 1GB of RAM, 4GB of Internal memory which can be easily expanded up to 32GB via micro SD card slot. To support the graphics section for this device, this device will be powered by a PowerVR SGX 544 MP2 GPU card support. With 1GB of RAM support, it will make the performance more faster and smoother. Enumerating it’s Connectivity specifications, Celkon A118 Signature HD supports almost all the usual connectivity options which we expect from any device as per it’s price range. It supports 3G, Wi-Fi, GPS, Bluetooth, 3.5mm audio jack and micro USB port. Briefing it’s photography specifications, this device includes both the primary and secondary snapper options. On it’s back, it includes a primary camera rated at 8 MEGAPIXEL and on it’s front it include a secondary snapper rated at 3 MEGAPIXEL for video chatting. Some of the other features of camera includes auto focus and LED flash technology. In terms of power capacity, this device absorbed power from 2000mAh of battery which is quite acceptable. To make the offer a bit more attractive company is offering this device with a free flip cover. 1.2GHz MT6589 quad core processor with PowerVR SGX 544 GPU. 5 inch IPS capacitive touch screen with 1280×720 pixels resolution. 1GB RAM, 4GB internal storage and microSD card slot. 8MP rear AF camera with LED flash and front 3MP camera. 3G, Wi-Fi, GPS, Bluetooth, 3.5mm audio jack and micro USB port. Price Rs. 12,500 with free flip cover. For more news and updates, stay tuned with us. You can follow us on Facebook, Twitter and on Gplus.